I started mentoring a 14-year old female student, and I will be her mentor for the next 4 years until she’s a freshman in college. We met for the first time at the after-school event, and we discovered we have many common interests in technology and design. 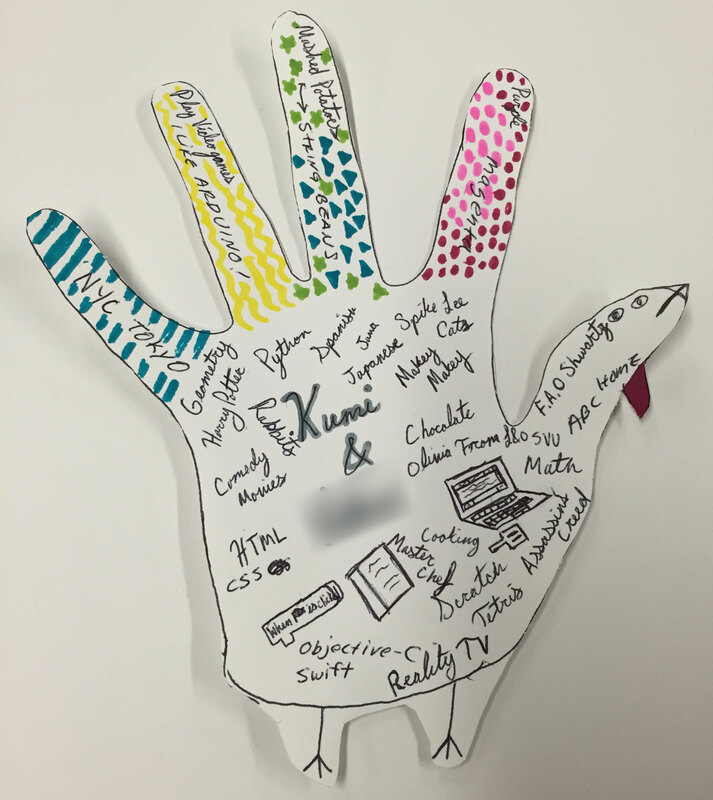 Here’s the hand turkey drawing to prove it. This entry was posted in Life and tagged Mentoring, Teaching. Bookmark the permalink.